001 As introduced, reinstates prior law regarding offense of underage driving while impaired to ensure compliance with federal zero-tolerance laws; clarifies that the offense applies to persons under 21 years of age who drive while having a blood or breath alcohol concentration of 0.02 percent or more. - Amends TCA Section 55-10-409; Section 55-10-415 and Chapter 1030 of the Public Acts of 2016. 002 As introduced, makes appropriations for the purpose of defraying the expenses of the second extraordinary session of the 109th General Assembly. 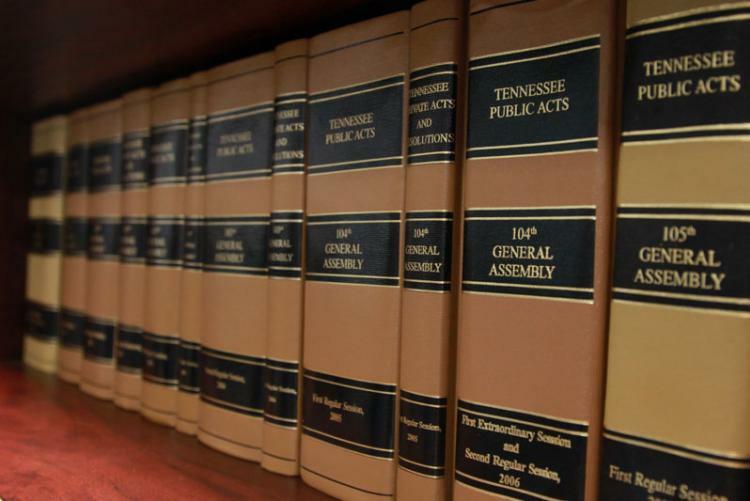 Pursuant to Title 12, Chapter 6, Section 116 of the Tennessee Code Annotated, it is the duty of the Secretary of State to prepare and distribute the printed acts of the General Assembly. "Notwithstanding any other provision of law, the Secretary of State is authorized to fulfill the provisions of this part by publishing the text of the public acts in electronic form by use of the Internet."